Where is the social construct of marriage headed in the 21st century? “anti-marriage” or “freedom of relationships” advocates (again made up of both gay and straight constituents) that adopt progressive views about relationships and child bearing. Imagine… a legally married gay person arguing for pro-family values and against the practice of childbearing outside the bonds of matrimony, or against polygamous relationships, or arguing against the practice of serial “living together” relationships. These images of possible futures came to mind when child advocate David Blankenhorn had a change of heart. An avid supporter of traditional marriage who emphasized the need for fathers in the home, Blackenhorn has not changed his basic values about marriage and family. He views marriage as “the” institution that exists as a gift to children. It exists to assure children that their birth parents who brought them into the world will nurture and care for them. As such, “marriage” can never truly apply to gay couples. But for him, the debate about gay marriage was about the child and about society. For his opposition, the debate was about the adults and their individual rights. After years of debating, Blankenhorn concluded that, by and large, regardless of the merits, he simply did not make his case. The elites and younger Americans did not see things his way. 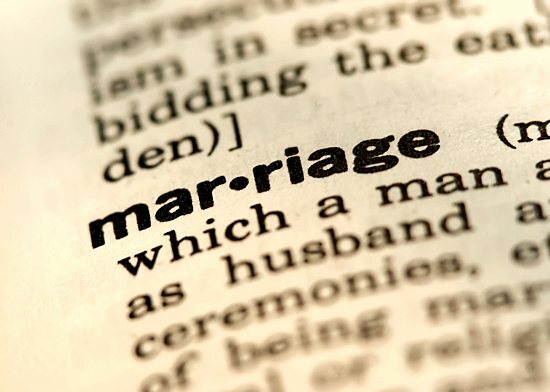 His opposition successfully framed marriage as a private and personal matter, the meaning of which can be determined by the individuals involved, and not about society’s obligation to structure itself for the benefit of the young. Now what? For political purposes, Blankenhorn has changed strategies. He has chosen to join forces with pro-marriage gay activists in his cause to strengthen the institution of marriage. Will his strategy work? Is this a possible realignment that will gain strength? What will be the pro-family values of a “post-traditional marriage” world? Let this sink in… We’re experiencing a civilizational shift. Are we…seeing the creation of a new moral norm– a pro-marriage, pro-family agenda — in which gay and straight activists work together to raise a cultural standard. Are we… seeing the first steps towards the recognition of other forms of nontraditional relationships such as polygamous, polyamorous, interspecies, and eventually man and machine. Are we… seeing the emergence of a world that is more hostile to children.